Indian design has come a long way from using motifs of elephants and peacocks to retain its Indian spirit. 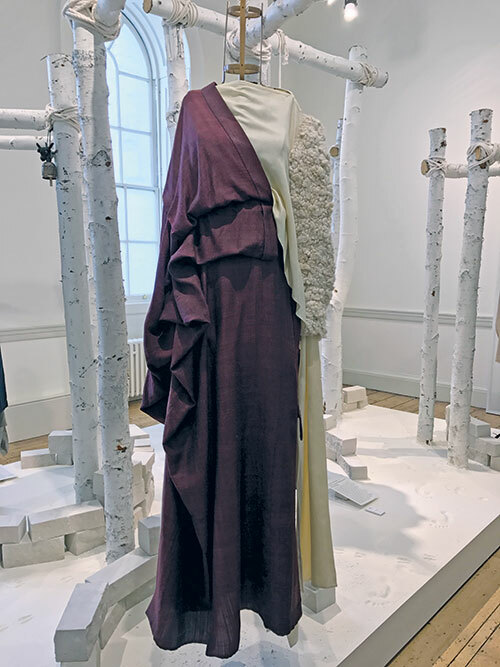 At the recent International Fashion Showcase held at Somerset House in London, the new crop of designers Karishma Shahani Khan, Priyanka Lama, Ragini Ahuja, Alan Alexander and Ujjawal Dubey looked inwards, at nomadic groups for inspiration. Attempting to make Indian handloom relevant to an international audience, they delved into the tribes’ ideas of sustainability and social relevance. With 645 tribes, and as many compelling narratives, we have only just managed to scratch the surface. Through this lesser-known India, we discover peculiar weaves, zero-wastage techniques and cruelty-free fabrics…. 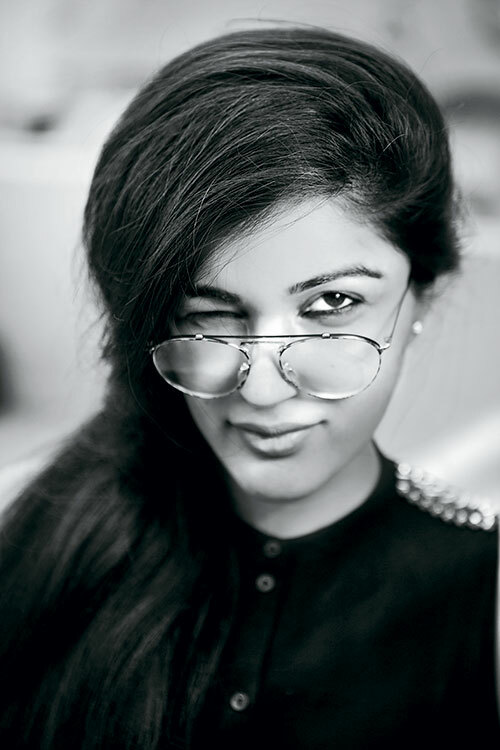 Delhi-based, 28-year-old Ragini Ahuja refers to her work as an amalgamation of her upbringing and travels. A graphic designer and illustrator, this translates to clean lines and geometric patterns in her collections. Her label Ikai reflects her fuss-free style and breaks the stereotype that women’s clothing must be pretty. 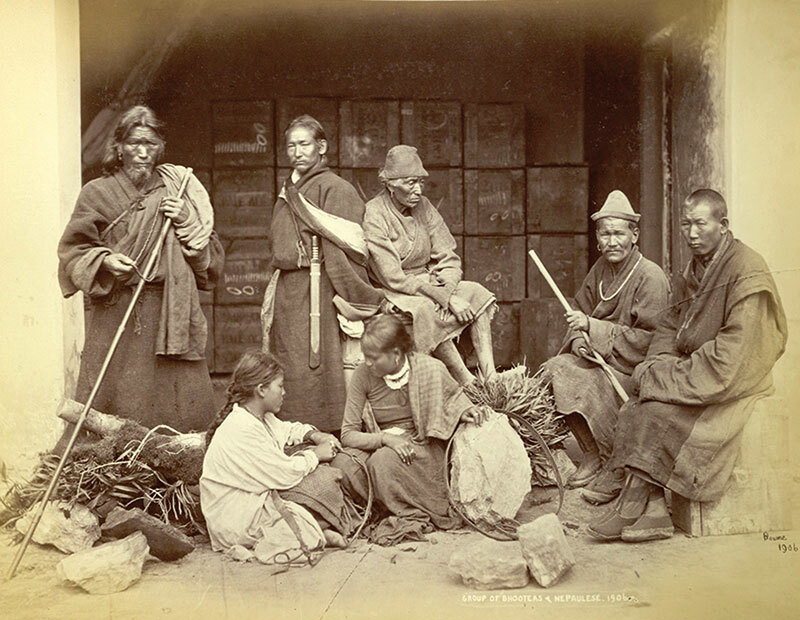 Ahuja read about the Drokpas (an indigenous tribe nestled in villages in Ladakh) in Jimmy Nelson’s book and photo series Before They Pass Away. “The imagery was beautiful and I picked them because their ideology and cultural exuberance is interesting. 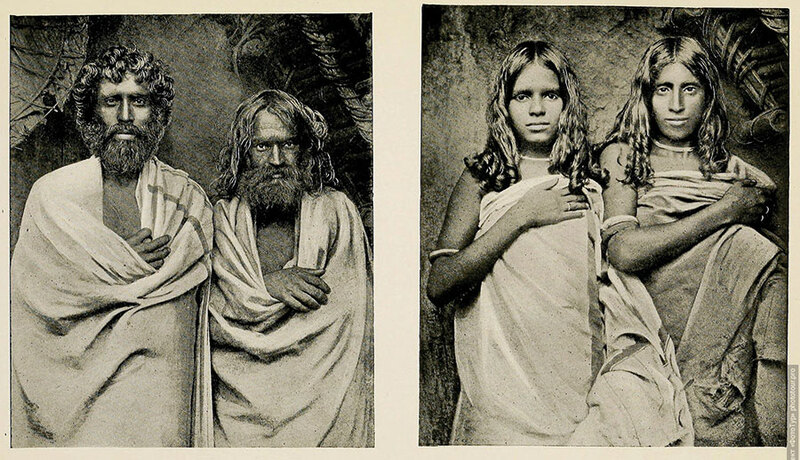 And they have a fanatical attachment to purity — marriage and kinship is allowed only within the tribe.” The Drokpas, a small clan of barely 1,800 people, believe that they are descendants of a pure Aryan race. Their attire is constructed of natural flora and fauna, which is why they dress in sheepskin capes and adorn their hair with flowers. “As a label we have mastered the ‘complex minimal’ aesthetic where we combine Indian techniques in the most non-traditional ways,” says Ahuja. This explains her present-day interpretation of the tribe’s sheepskin cape. 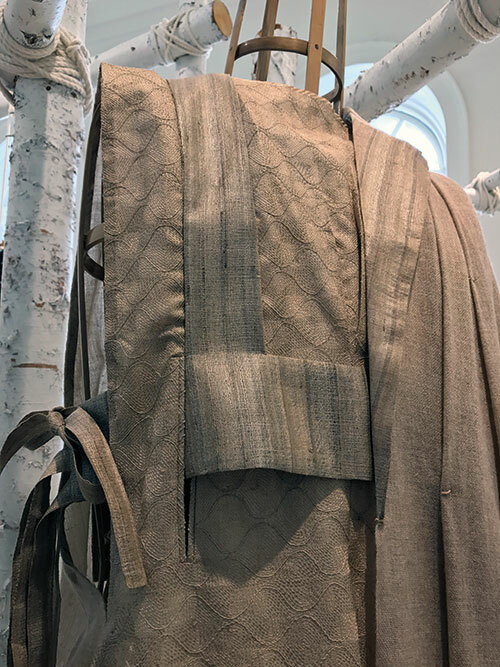 A handwoven Himalayan silk-wool jacket was appliqued with sheep nappa leather alongside geometric floral artwork. “For the inner dress, I’ve used cotton and silk and created a very light fabric. It was developed in Chanderi in Madhya Pradesh along with a weaver, who embroidered and beaded it with flowers and silver pearls.” The headgear or the tepi comprised a leather hat adorned with real and origami leather flowers and a silver brooch made of coins. The outfit is best described by Ahuja as “a seamless blend of my signature anti-fit silhouette and eco-friendly fashion”. From the small town of Gorakhpur in eastern Uttar Pradesh, Ujjawal Dubey finds the least joy in maximalism. Restricting itself to pastels, dirty linens, greys and blacks, his label Antar-Agni feeds on the rawness of Indian textiles. According to Dubey, his anti-fit menswear is non-conformist, fluid and unrestricted. The Van Gujjars of North India have much in common with Dubey’s genre of work. “Their strong affinity towards cattle and nature pushed us to create something very rustic, very natural. We got heavy cotton fabrics developed for the look.” This nomadic community of water buffalo herders has a distinctive style of draping. 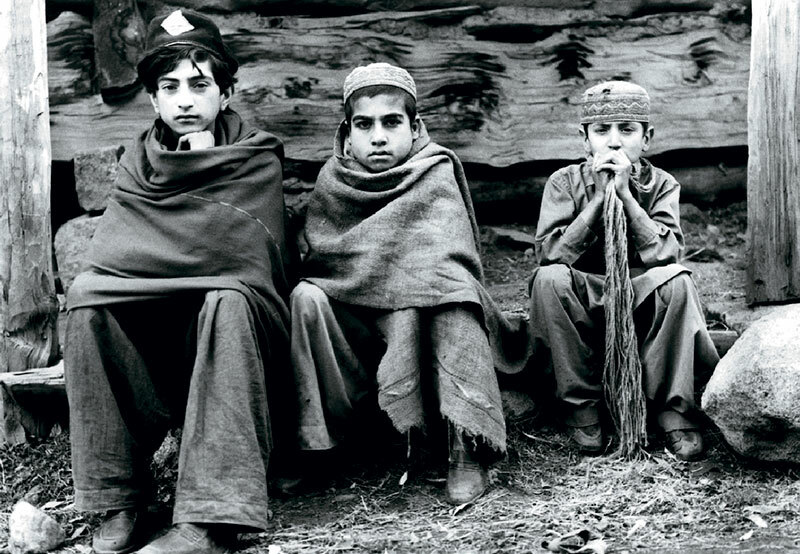 They wrap a shawl around their shoulders, under which they wear vests, long kurtas or lose shirts with salwars. An old hand with smart cuts and relaxed silhouettes, Dubey added his spirit to the clothing, both aesthetically and practically. “I keep myself in mind constantly during the design process because it helps me believe in the things I create,” he says. Which is why there were no traces of amped-up glamour, but rather a suave and confident look — try to imagine Rumi set to Ray Charles. Keeping the tribe’s uneven, raw selvedge as a prominent motif, Dubey used heavy, handwoven fabric interspersed with scribble embroidery to represent patchwork. “The side slits were designed to be waist-high for easy movement. Contrast needlework was used to achieve rawness in the look.” Cleverly paired with Mughal turbans and juttis, Dubey’s work is a departure from conventional tailoring. 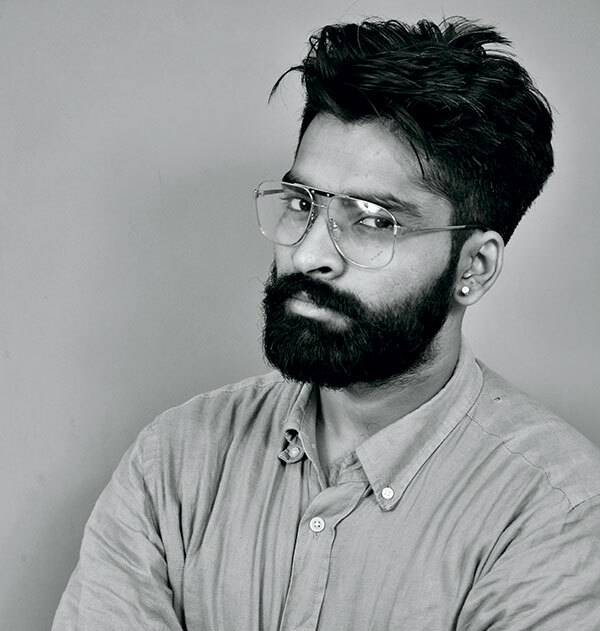 “For something to be beautiful, it doesn’t have to be pretty,” believes Kochi-based designer Alan Alexander. 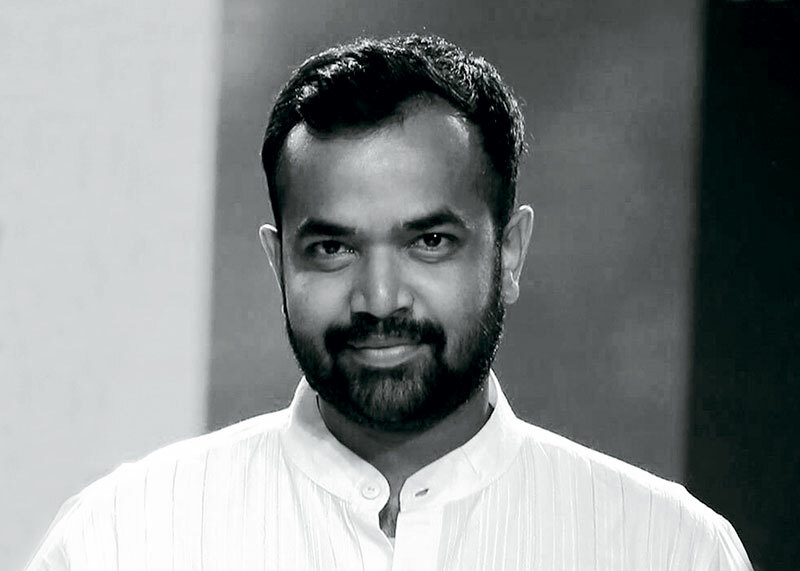 Through his label Kaleekal, he questions industry standards of beauty, fit and tailoring. “Every piece is unisex, supporting gender fluidity as opposed to gender binary,” he adds. In the age of sleek minimalism, her Pune-based label Ka-Sha by Karishma Shahani Khan is a spontaneous fusion of contrasting textures and detailed surface treatments. Through her initiative Heart to Haat, she has been upcycling discarded material from her previous lines to create patchwork accessories, rugs and clothing. 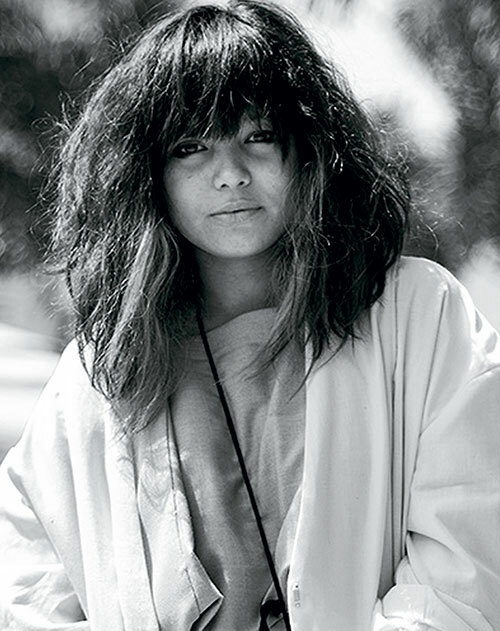 She calls her oeuvre “a reinterpretation and revisualisation of Indian fabrics”. 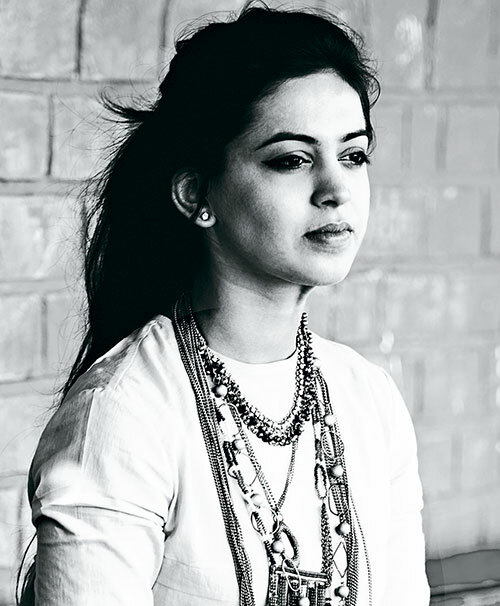 Shahani Khan chose to work with the Rabaris of Kutch, “because they were the first community I interacted with when I started working with crafts”. 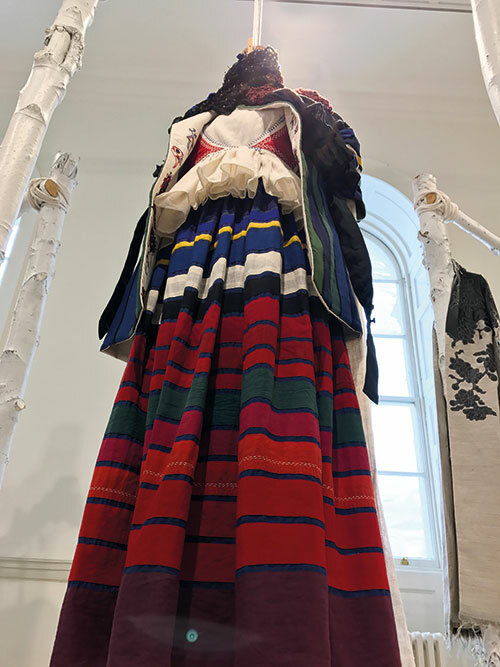 Migrating consistently yet never without a pattern, the Rabaris use clothing as a means of self-expression and to tell stories. 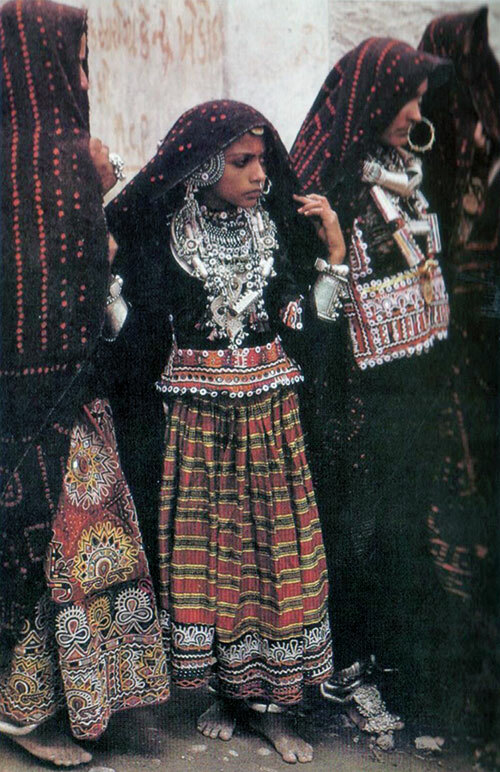 Within the community, specific colours, embellishments, fabrics and jewellery reveal different aspects of a person. They communicate whether he or she is young or mature, single or married — sometimes even implying the number of times. 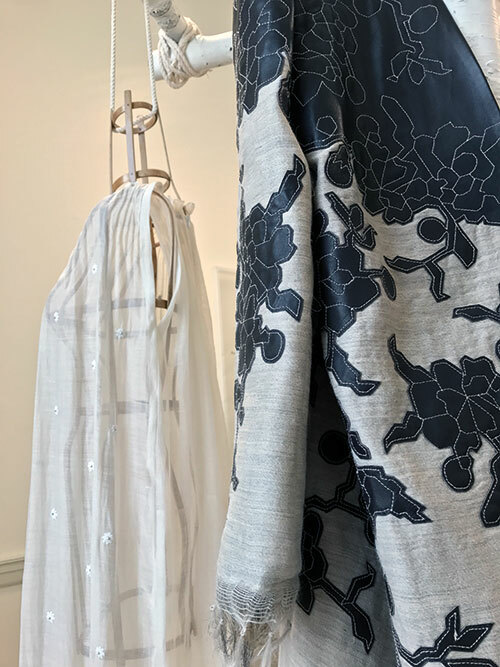 Priyanka Lama’s work is deeply rooted in the Japanese wabi-sabi philosophy where “designs are simple, unpretentious, and fashioned out of natural materials”. The 25-year-old’s label P.E.L.L.A is famous for its zero-wastage pattern-making techniques and use of indigenous, handwoven eri (Ahimsa silk), “nature’s own upcycled product, made from the cocoon which is discarded after the silkworm transforms and leaves, earning its name of non-violent ‘peace silk’”. 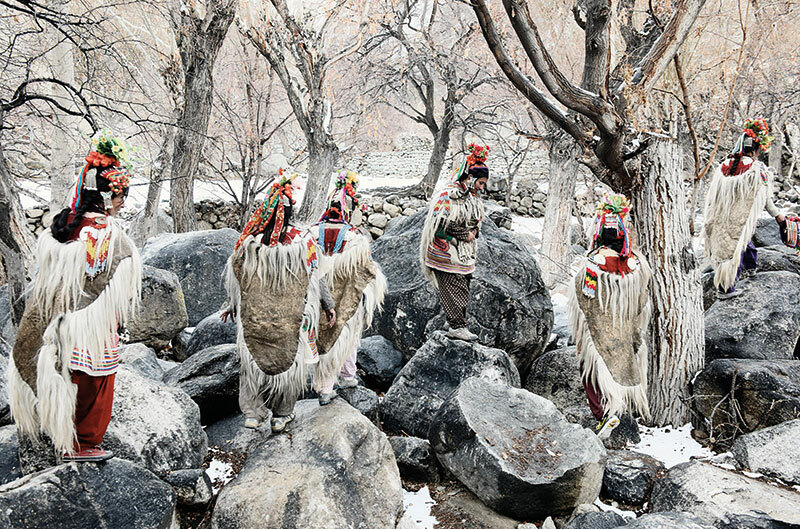 Lama’s showcase revolved around the bakhu — the tribe’s traditional attire. It is a loose cloak fastened at the neck on one side and near the waist with a silk or cotton belt. Male members pair the bakhu with loose trousers, while women wear it with a silken full-sleeve blouse called a honju. “My interpretation is reflected in the silhouette. 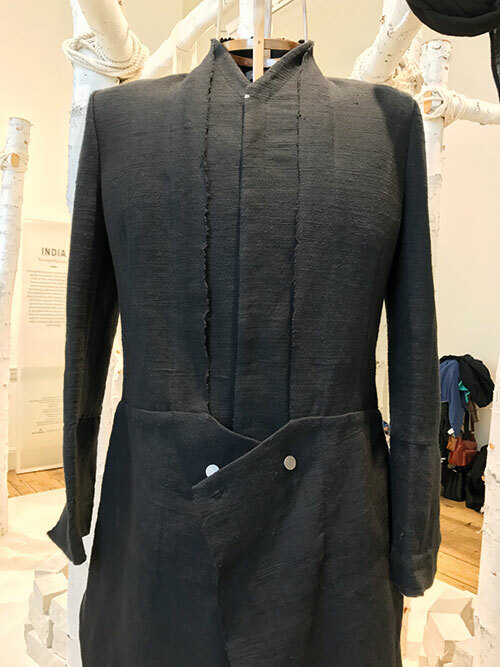 Although closely resembling the bakhu from afar, I have constructed it from a single rectangular block of fabric which forms an over-garment,” elaborates Lama. The collar, sleeve, back and front of the garment are all taken from this fabric block itself. The hand basting holds the seams together while the sleeve-warmer offers an optical illusion — although hand-stitched out of eri fibre waste, it could be easily mistaken for wool!